Small communities aren’t often able to attract investments in groundbreaking technologies. 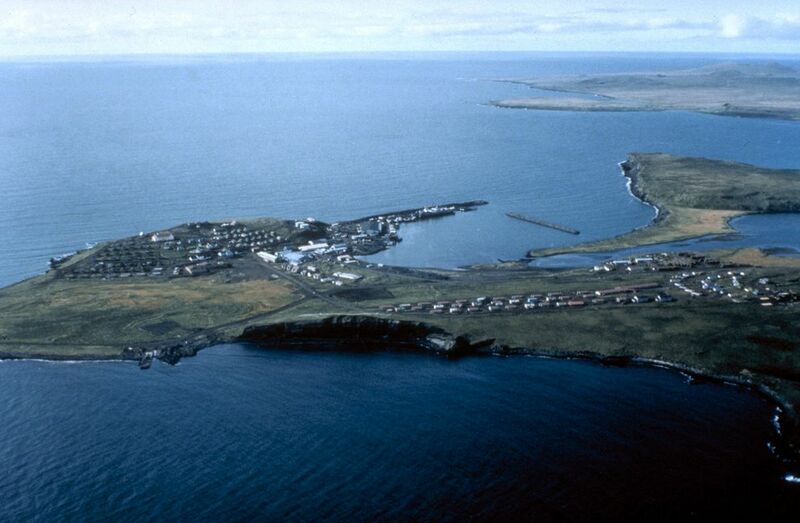 It’s even more rare when it happens to an ultra-remote island village near the edge of the Arctic. But thanks to the foresight of community leaders, the unique opportunities that isolation provides, and a little luck, St. Paul is on its way to becoming the center of field research for large commercial unmanned aircraft. Earlier this year, the Aleut Community of St. Paul Island, the tribal government of St. Paul, inked a deal worth up to $43 million with Sabrewing Aircraft Co. to test, develop and ultimately purchase the company’s unmanned cargo aircraft. The partnership, officially announced Feb. 27, first calls for the tribal government to establish the St. Paul Experimental Test Range Complex for testing Sabrewing’s Rhaegal and Wyvern vertical takeoff and landing prototype cargo aircraft. Eventually, the tribe plans to buy up to 10 Sabrewing aircraft and form a joint-venture company with the manufacturer offering large unmanned aircraft pilot training, maintenance, leasing and other services. Sabrewing co-founder and CEO Ed De Reyes said the partnership with the tribe of St. Paul has pushed company leaders to expedite their plans. De Reyes said in a June 2018 interview with the Journal that the company was working toward completing the 4,500-mile trans-oceanic Pacific Drone Challenge this year. However, Sabrewing has since “set the Pacific Drone Challenge to the side” given the opportunity came sooner than expected to commercialize its aircraft. “In St. Paul I don’t think I’ve ever seen a place that has such a variety of capabilities (for unmanned aircraft) in one location. It sounds so weird because you never think you’d find this in the middle of the Bering Sea but it’s amazing. It is there,” De Reyes said. St. Paul is the largest of the Pribilof Islands, and sits roughly 250 miles north of the Aleutian chain in the Bering Sea. Patrick Baker, executive director of the tribal government of St. Paul, said the tribe has a for-profit subsidiary that operates small unmanned aircraft — referred to as Part 107 aircraft in Federal Aviation Administration parlance — and wanted to expand that work but was not thinking about hosting a large unmanned aircraft system, or UAS, test range. Much of that work has been on small contracts with companies, universities and government agencies doing mapping and various types of environmental research. Historically, the village’s economy has revolved around Bering Sea crab and halibut fisheries. “We’re a community that’s a very resource-based community around fishing as the tribal government. We’ve seen the trend of resource depletion, overfishing. The trend has been in decline so we’ve been looking for opportunities around diversification that also kind of fit with our mission,” Baker said. “With St. Paul and most of Alaska being challenged with logistics, we were looking to get ahead of technology, find tomorrow’s industry and we started with Part 107, training pilots, then training instructors. St. Paul’s population has fallen from about 600 residents to a little more than 400 along with declines in the fisheries, he noted, as residents seek employment elsewhere. The courtship with Sabrewing started after a tribal government representative read a June 2018 story in the Journal profiling Sabrewing and the company’s plans to manufacture its aircraft in Anchorage. Cargo deliveries to remote communities is Sabrewing’s target market, and without the ability to legally fly its aircraft to Alaska with all the state’s opportunities in that market, Anchorage is a natural home for manufacturing its aircraft. Sabrewing is also an associate member of the Alaska Air Carriers Association. 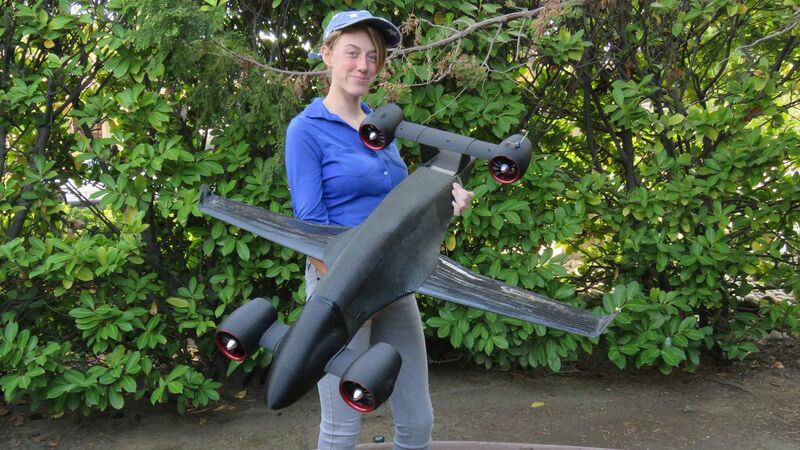 Currently based in Camarillo, Calif., the company is focused on developing the Rhaegal first: a mid-sized aircraft with a cargo capacity of 800 pounds, a range of 360 nautical miles and a maximum altitude of 22,000 feet. De Reyes said he believes the costs to operate and maintain a Rhaegal will be about half of what it takes to fly a traditional small cargo plane such as a Cessna Caravan, and those cost savings could translate directly into a lower cost of living in remote communities. The larger Wyvern, with a 4,400-pound payload and a 1,600-mile range, will come later, according to De Reyes. Company leaders are shopping for industrial space in Anchorage and hope to start putting the first Rhaegals together early next year. De Reyes said Anchorage will be more of an assembly facility as opposed to true manufacturing. The aircraft’s five major segments and other small components will be developed elsewhere and put together here. On the regulatory side, the FAA is close to approving an initial certificate of authorization, or COA, for the test range. The first COA is likely to be for a small area immediately surrounding St. Paul Island. It could be expanded soon after Sabrewing demonstrates it can operate the Rhaegal safely, De Reyes said. Ultimately, St. Paul offers approximately 126,000 square miles of relatively empty unrestricted airspace underneath the large jet traffic that starts at 27,000 feet, according to De Reyes. He and others have credited the FAA for being open to ideas for testing emerging technologies, such as unmanned aircraft, in recent years while still following the strict “safety first” mandate. FAA officials said they have been impressed in talks with St. Paul and Sabrewing leaders with their proactive approach to address regulatory issues. John “Nevada” Nevadomsky, a former director of the University of Alaska Fairbanks’ Pan-Pacific UAS Test Range Complex and Sabrewing’s new research and development director, also noted that the FAA Reauthorization bill passed by Congress last fall allows for tribal governments to set up test ranges. UAS test ranges had previously been limited mostly to research institutions. The abundance of available airspace and inclement weather conditions afforded by the Bering Sea will help Sabrewing prove its mettle in all types of conditions, De Reyes said. The remote location also keeps the testing of proprietary technologies a safe distance away from those who aren’t supposed to see it, added De Reyes, who has worked extensively as a test pilot for numerous aircraft manufacturers. Finally, the St. Paul tribe’s forethought helped seal the deal from Sabrewing’s perspective. According to Baker, the tribe has invested upwards of $1.6 million per year in profits from its businesses into STEM education materials and equipment at the community’s K-12 school to broaden students’ opportunities. De Reyes said he noticed parallels between the small south Texas town he grew up in — but had to leave to pursue his dreams in aviation — and St. Paul. The Sabrewing partnership has brought a “buzz” to St. Paul, according to Council president Philemonoff. The excitement reaches down to the community’s youth, he said while describing a presentation Sabrewing and tribal leaders gave to the entire St. Paul student body.